Flooded view in Oxford. Photo by the.approximate.photographer on Flickr. A selection of 9 links for you. None includes Jeremy Clarkson or One Direction. I’m charlesarthur on Twitter. Observations and links welcome. Some of the FTC’s staff attorneys on the search investigation raised concerns about several other Google practices. In response, the Commission obtained commitments from Google regarding certain of those practices. Over the last two years, Google has abided by those commitments. I’d just like the full report published. Or reports – there seem to have been one from the competition bureau and one from the economic bureau. It’s been an extremely useful period for us all and in particular we’ve learnt a great deal about deploying devices in real conditions. 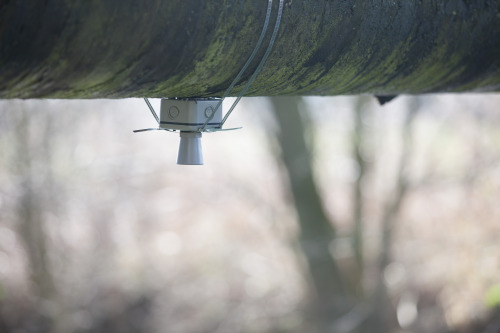 There are the radio considerations: how do you realistically achieve a 250m connection across wooded areas? There are system deployment considerations: how do you remotely reboot a Raspberry PI gateway that is held securely in someone else’s property? And there are some basic user interface considerations: how big do the buttons on a mobile app need to be when your fingers have gone numb from standing in a wet muddy field in December? The key thing to remember about the Internet of Things is that it is where the physical world meets the digital world. The physical world is complex and messy. A warm, protected office (where applications are inevitably built) can hide that messy world. I find this enormously encouraging. Flood level and river data is the one key public dataset that the Environment Agency still won’t make publicly available for free commercial reuse; it’s been a sticking point for the Free Our Data campaign (nine years old this month, but pretty much sorted since 2010). Let’s get it sorted. there was an insidious side to the dream that Mars One put forward. So much of it didn’t add up. The $6 billion budget seemed ridiculously low, and the company was light enough on details and partnerships to suggest that something was either very secret or very suspect. [Joseph] Roche [a professor at Dublin’s Trinity School of Education, with a PhD in physics and astrophysics, and a Mars One finalist] now seems to think it’s the latter, saying that not once did he ever meet with someone from Mars One in person, despite the fact that he was selected to be one of the “Mars One Hundred”—the lucky 100 people who advanced to the next level in the competition over spaceship seats. The professor told Keep that ranking within Mars One is points-based; when you are selected to advance through the application process, you join the “Mars One Community,” and you are given points as you move through each next level. The points are arbitrary and have nothing to do with ranking, but “the only way to get more points is to buy merchandise from Mars One or to donate money to them,” Roche told Keep. So, in essence, people are likely paying their way to a final round. BlackBerry’s turnaround strategy—focusing on software as its smartphone business has declined—has not been pretty. But the worst may be here. When BlackBerry reports its fourth-quarter results on Mar. 26, it could post its lowest revenue number in nine years. That’s the warning from RBC analyst Mark Sue in a research note this week. Sue predicts that BlackBerry’s fourth-quarter sales could drop to $661m, down 32% year-over-year and well below the Wall Street consensus of around $800m. BlackBerry hasn’t reported revenue that low since 2006, just as the smartphone industry was set to explode. It’s the existence of this “technology proper” that most technology critics take for granted. In fact, the very edifice of contemporary technology criticism rests on the critic’s reluctance to acknowledge that every gadget or app is simply the end point of a much broader matrix of social, cultural, and economic relations. And while it’s true that our attitudes toward these gadgets and apps are profoundly shaped by our technophobia or technophilia, why should we focus on only the end points and the behaviors that they stimulate? Here is one reason: whatever attack emerges from such framing of the problem is bound to be toothless—which explains why it is also so attractive to many. I think Morozov has by far the better perspective on this than Carr, because he isn’t grounded in an American social view. So, currently at least, there’s no open source server components, no open format for exchanging data and an iOS only open source framework that Apple want developers to build modules for. Don’t get me wrong, this still sounds like a huge step forward for medical research data collection. What it doesn’t sound like though is Apple’s altruistic gift to the world from which they receive no benefits. In China, sales of Apple’s iPhone 6 reached 15-20m units in the fourth quarter of 2014, the sources noted. China-sales of the 6-series are set to remain at similar levels in the first quarter of 2015, the sources said. …While sales of Apple’s iPhone 6 series have been strong since launch, sales of Android-based smartphones have not picked up, according to industry sources. Except Samsung Electronics, which has started to enjoy growth in sales of its recently-announced Galaxy S6, other Android phone makers have seen their sales thus far in 2015 lower than a year earlier, the sources indicated. Sources at Taiwan-based IC design houses have revealed that orders placed by their Android device customers have been weaker than expected which may affect their sales performance in the first quarter. The IC design houses said they are also cautious about orders placed by Android phone makers for the second quarter. The iPhone figures feel like lowballing – Apple will probably pass 50m units for the quarter. It’s the part about Android phones that is intriguing. Is it just the Taiwan IC houses feeling the pinch? We are not sure if AllCrypt was targeted, or if it was a “fortunate” thing for the hacker. Our hypothesis is this: The user’s email account was breached, and in looking through the emails, saw that he had some admin rights for AllCrypt.com. In that account were emails from myself and our MD. After playing on AllCrypt for some time, the hacker tries to do a WordPress password reset for all of the allcrypt related emails he sees. My personal email was not the email for the main admin blog account, and either was the user who’s email was breached. Our MD, however, did use his personal email. A password reset was issued, and sent to the MD. The massive screwup that led to the loss of funds is when the MD forwarded that email to myself and the tech team member. He forwarded the password reset link. To the breached email account. The hacker reset the MD’s password, and had administrative access to the blog. Access which allows uploading of new files/plugins for WordPress. The hacker first uploaded a file, class.php. After we examined it, we discovered that it grants web-based command line access to any files the web user has access to. Namely, the entire http tree. Quick looks through the web source files is all it takes to see the hostnames, login names, and passwords for the database. The database credentials WERE protected in a ‘hidden’ file in a non-www accessible directory, however, anyone smart enough to read code can find the include lines that point to that file. The www user must have read access to that file, so the class.php the hacker uploaded also had read access. Then, using WordPress, he uploaded adminer.php – a web based database management tool similar to PHPMyAdmin. It was a simple task to then query the database. The hacker created a new user account on AllCrypt, used adminer.php to UPDATE userbalances SET balance=50 WHERE userid=whatever AND symbol=BTC to set his balances to whatever he wanted. Then he began to issue withdrawals. Lots of them. You hosted WordPress and your bitcoin exchange on the same server. Also includes “Angry questions and contrite answers” section. Philippine budget phone maker Cherry Mobile beat South Korean giant Samsung as the leading smartphone brand in the Philippines in 2014, IDC said today. It was the second straight year that Cherry has whipped Samsung in the nation. According to the research firm, Cherry cornered 21.9% of the Philippine market in terms of volume of smartphones shipped in 2014, overtaking Samsung, whose share declined further to 13.3%. Cherry has held the spot as the number one smartphone vendor in the Philippines since 2013. That year, it captured 24.3% of the market, and Samsung held 19.9%, based on data provided by IDC to Tech in Asia. However, the smartphone market expanded by 76% yoy (from 7.2m to 12.6m), so Samsung’s shipments actually increased by 17.6% (from 1.42m to 1.68m). Big headline, but pretty much a rounding error for Samsung. This entry was posted in links and tagged android, apple, blackberry, china, mars, opensource, researchkit, samsung by charlesarthur. Bookmark the permalink. Gates has a well documented disdain for such programmes — he concentrates on much more worthy issues. Dropping his name in is off – try one of the Googlers, or an Apple exec. If I remember right its Allen who is investing in spaceflight at the moment (and Amazon’s Jeff Bezos which I’m hearing some pretty interesting things about his Blue Origins project, such as the technology is better than SpaceX).